Activities | Conferences, experiences and amazing moments based on 25 years of experience! Activities and programmes are planed with the biggest emphasis on safety. The basic idea is to have fun together and to have a pleasant atmosphere. 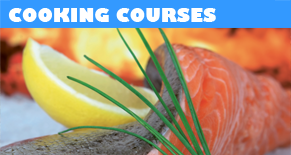 Every single activity day is guided by professional instructors. The route is always optimized according to customers' skills and needs. The main idea is not speed. We drive on safe and well-known routes on the lake shore, swamp and forest. Safari is on also during winter. The ice and snow does not slow us, but on the contrary! Winter makes the experience even more exciting! 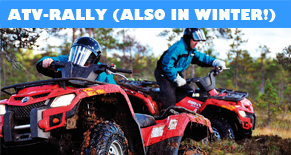 Bring your group to enjoy a day full of exciting experience with snowmobiles! 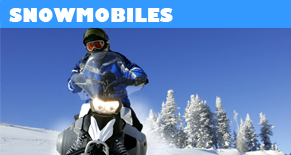 Snowmobiles are definitely one of the best ways how to enjoy winter nature. In the beginning every participant gets instructions and equipment. Whole safari is under safe supervision of the instructor. 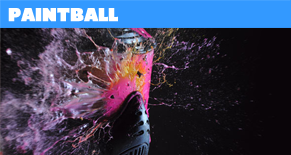 Paintball is very interesting alternative to teamwork day for example. Guided game lasts approximately two hours including 15 minutes safety instructions and equipment distribution. The guide is taking role of game judge, equipment distributor and above everything else – safety supervisor. Suitable for 10-40 people. 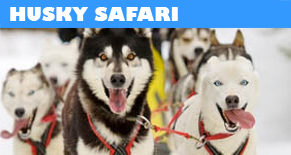 Get to know to joyful world of sledge dogs and drive your own husky sledge! The sledge driving is funny and unforgettable experience. Focus, balance, self-control! Competitiveness, cooperation, experience! New Eko-Aims brings this all to you! The shooting with Eko-Aims is safe and environmentally friendly. Eko-Aims is 100% noiseless and without bullets. It suits to everybody – from peak sportsmen to amateurs. The route is approx. 1-3 km long pinned by 7-10 checkpoints: Eko-shooting, first aid, physical tasks, environmental knowledge and dexterity tasks. Team race can take place almost anywhere. 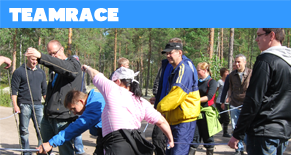 It is also possible to color the team race into suitable theme. During playful laugh-yoga you can laugh without a reason! Laugh-yoga is suitable both for small teams and for bigger groups. Laughing together improves the team spirit, trustworthiness, and "we" – attitude. Say goodbye to stress and let the inside have fun! Experience unforgettable moments with fishing in the middle of world heritage area in the clear waters of Panike! During summer we use almost all possible forms of fishing. 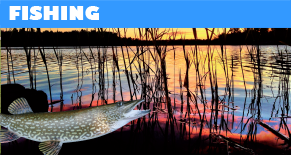 We organize classical rod fishing as well as going after pikes, trouts or perches. Join us for DeGeer Cruise – the biggest Sun Tracker of Europe! 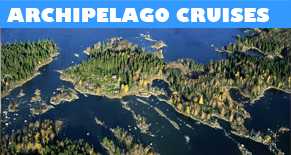 Come and enjoy relaxing ride on leather sofas in the middle of an amazing archipelago. You can take the ride on 12 meter long pontoon boat informally and enjoy a piece of luxury. 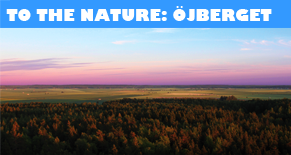 During this guided nature route around Öjberget's beautiful nature you can see hundreds of years old pine carcasses, rocky lands from trolls, raised shoreline, and potholes. Our guides can tell you about the history of the place, stories from times passed long time ago, and take you to enjoy the beautiful view from the lookout tower, from which you can see for example Söderfjärden crater, Sundom village or the city of Vaasa and the harbor of Vaskiluoto. The surroundings during the way are very various: beautiful shore nature, old archipelago village scenery, and forest. 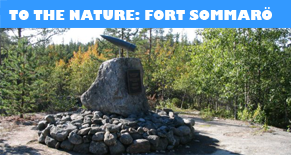 In the fort Sommarö you can also familiarize with the historical structures of our defenses and bomb shelters. The area was used as a base for defense of the sea in Vaasa area. 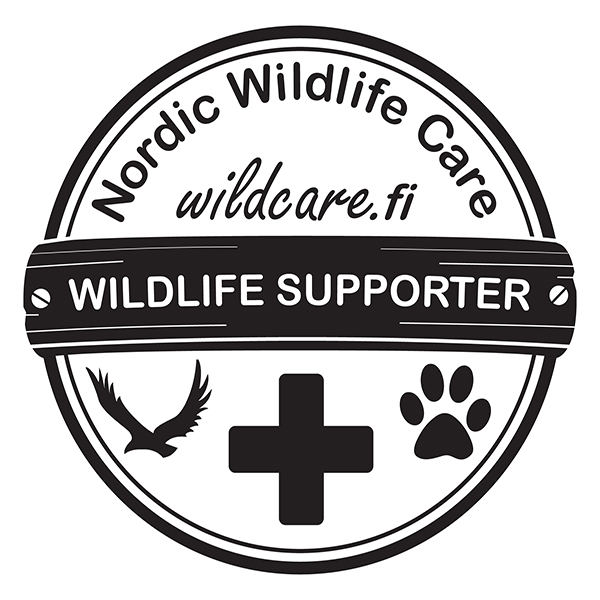 The guides can tell you about the nature, history, and perhaps we can spot a White-tailed eagle! Refreshments are served in an old guardhouse. 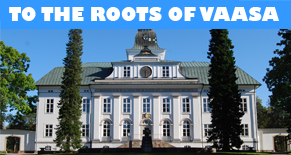 Old Vaasa is nationwide recognized as very valuable area. It is very various sightseeing area offering nature, culture, living, historical, and other aspects. You can find here green parks, ruins of St. Mary's church built in 1300, the remains of the Korsholm castle and other historical building that survived the big fire of Vaasa in the year 1852. 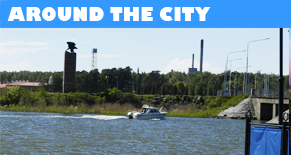 Discover the beautiful city of Vaasa with a guide! During the walk he can tell you about history of buildings, statues and memorials. See for example park areas, old barracks, etc. If you wish so, we could for example stop at the museums. Villa Bullerås is opening its secrets! The cooking course is being crowned by self-prepared archipelago dinner. Under the chef Hannu Björklund's supervision your group can prepare for themselves delicious dinner and enjoy its tastes on the long oak tables of Villa Bullerås. The delicacies of the archipelago are the theme of the day! Didn't you find what you were searching for? 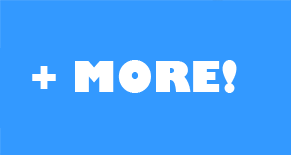 We can offer plenty of more activities through our network. Ask and suggest!